We strengthen families through counseling, education, and related support services. We help individuals succeed in school, at work, in relationships, and within our community. Stronger families make a stronger community. Our unique mix of services is informed by our decades of working with and learning from the families in our communities. Your donation brings our services to our neighbors who need them. Our professional licensed therapists counsel individuals of all ages as well as couples and families. Bilingual and bicultural (Spanish-English) counseling is available. For New Clients: Download the forms you'll need to get started. 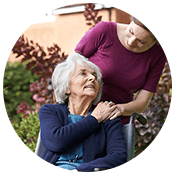 Counseling services, a Caregiver Resource Center, caregiver support groups, and a Senior Advocate are available to assist seniors and caregivers at no out-of-pocket cost. 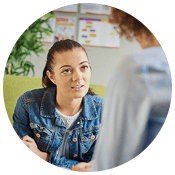 We offer a wide range of education and support services for children, youth, and adults. 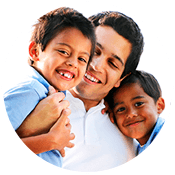 Many of our programs are designed for the Latino community. I value the work that Family Service does because I see the real benefits… in the eyes of children and families who are better off in life, in the eyes of residents who are so thankful that they are in a better position to be successful. individuals and families, creating paths for life success. I feel Family Service of Lake County has saved my life and now continues to make it better.